Our Bobcat skid steer loaders are versatile enough to help you tackle many tasks around your yard or jobsite. The 46HP diesel engine has an operating capacity of 1750 lbs and the bob-tach system allows easy connecting of various attachments, such as pallet forks or a grapple attachment. Flatbed delivery is available, rates vary by distance. 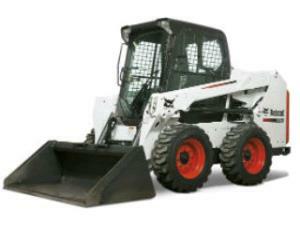 * Please call us for any questions on our skid steer loader rentals in Hillsdale and Ridgewood NJ.